The basic philosophy on this project was to design a van that could hold ALL of our sports gear and also be comfortable and workable as a camper. We envisioned spending the summer at Hood River Oregon and then the occasional trip to the coast, Bend or even California where we would camp out in the van in the evening. It really had to be workable as a daily driver but also as a camper and, most importantly, a storage vehicle. This website is dedicated to our work on the van. 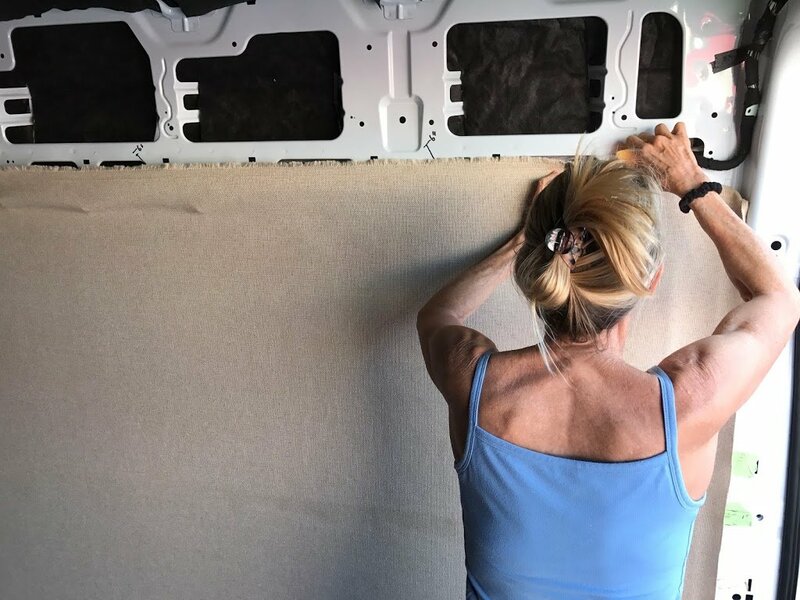 It was started in January of 2017 and we got pretty far with it but then once the van was built and we were on the road the blog stopped and so did the work on the van. We arrived for the summer in Hood River after a GREAT trip from Martha’s Vineyard MA and we got into sailing, windsurfing, kiting and mountain biking. At the end of the summer we stored the vehicle and left with plans to get someone to come and work on it during the winter. Upon arriving back in the Gorge in late June of 2018 we realized that we had completely forgotten about the van and nothing had gotten done. We are determined to not let that happen again and so are working hard at trying to get someone to take the vehicle over the finish line and complete it. This was was originally a blog post so the “progress” was organized by date. Now that I have converted it from blogger to WordPress I will be putting most of the new content onto pages so that people can see what is in the van and what needs to be done. The pages (under the menus) will be the most important parts for people interested in the progress and on what needs to be completed.